Harajuku guys sporting black streetwear styles while out and about on the street. 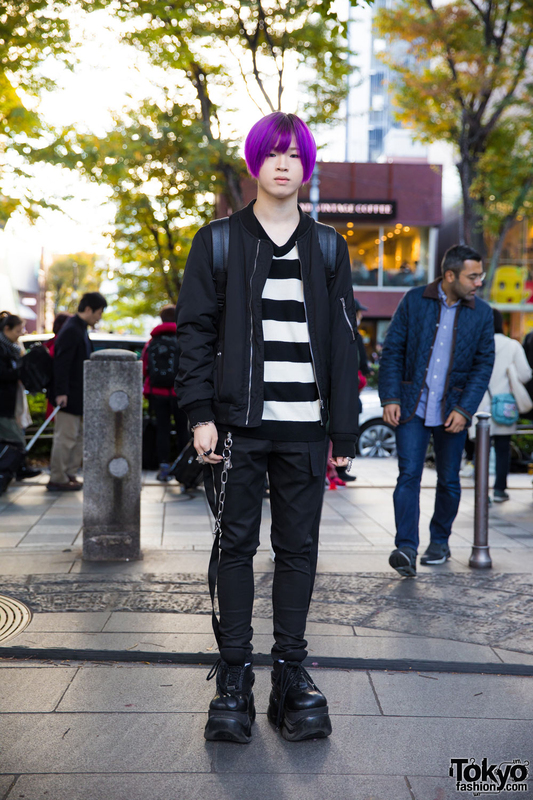 Harajuku purple-haired guy in monochrome streetwear wearing a zipper jacket over a striped shirt, skinny pants, platform lace up shoes, black backpack, rings and a silver chain. 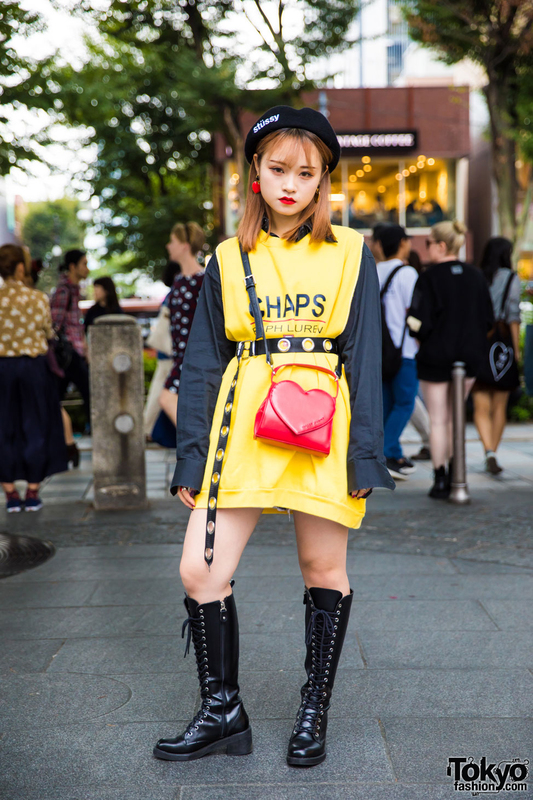 Harajuku student in yellow and black streetwear with long sleeve shirt under yellow vest, denim shorts, knee high boots, black beret, and a red crossbody bag. Shinjuku girl in dark streetwear style wearing a button down shirt, wide leg pants, split toe boots, and connecting rings. 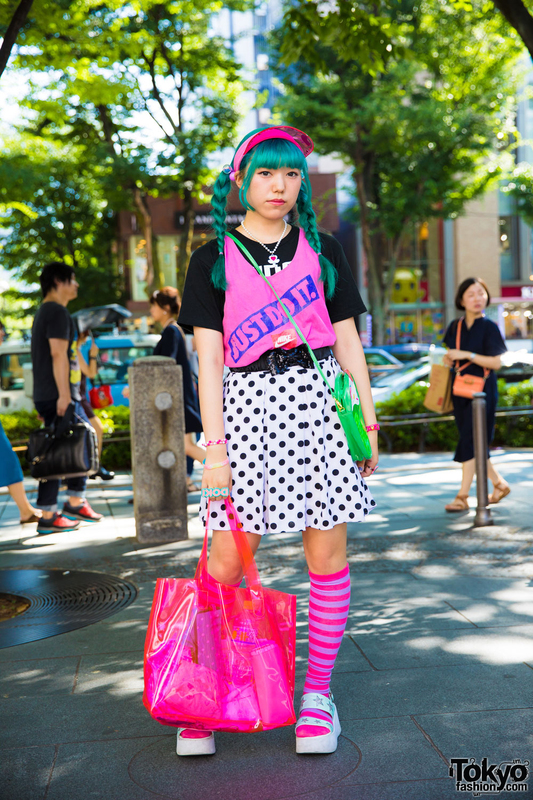 Harajuku student with aqua twin braids sporting colorful polka dot fashion w/ tank top over t-shirt, resale skirt, striped knee high socks, platform sandals, see through bags and accessories.